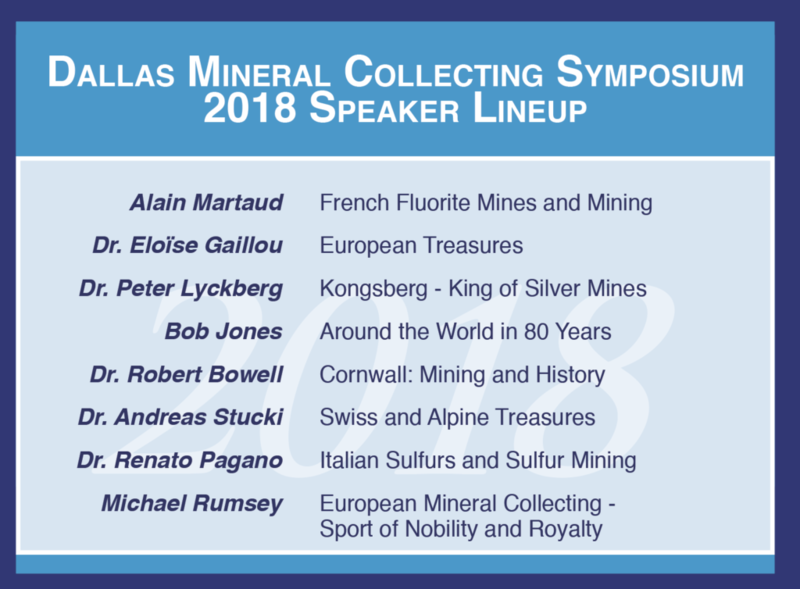 Our 2018 Dallas Mineral Collecting Symposium will be held August 24-26, 2018. We’re looking forward to hosting 200+ mineral lovers from around the world and learning from our world-class speakers. Register now for the 2018 Dallas Symposium, August 24-26, 2018!